SYKES is a global leader in providing comprehensive customer contact management solutions and services in the business process outsourcing (BPO) arena. We provide an array of customer contact management solutions to market leaders around the world, in the communications, financial services, technology, healthcare and transportation & leisure industries. Headquartered in Tampa, Florida, with customer contact management centers throughout the world, we specialize in flexible, high-quality outsourced customer support solutions with an emphasis on inbound customer care and technical support. The Operational Value Chain is collection of the seven core processes or phases that make up the very heart of what SYKES does as a business. It’s the operational part of the business, where SYKES delivers for clients and customers, divided into seven segments: Talent Acquisition, Talent Development, Transaction Handling, Coaching & Engagement, Workforce Management, Risk Management, and Continuous Improvement. There are three elements to the strategic phase to make sure we deliver on the Operational Value Chain: Human Capital (Do we have the right people in the right roles? ), Information Capital (Do we have the right tools and technology to be effective? ), and Organizational Capital (Do we have the right forums and communication to be effective?). SYKES Chief Learning Officer John Kruper and SYKES Executive Director of Learning Services in North America Robin Peloquin talk about the learning environments, technology, and training materials that SYKES builds, reflecting a belief in applying and learning by doing. Employees in training learn from their mistakes and try again. Classrooms are collaborative and social. Tables are arranged so trainees can work together and collaborate — role-playing, trying, playing, and learning along the way. The classrooms come alive in the content, setup, and overall instruction. Employees get the opportunity to apply what they are learning right away. Data shows employees retain more knowledge as engagement continues, and that’s why SYKES continues to strive for engaged learning. Several SYKES employees talk about what they love about working at SYKES. Leaders are dedicated to developing employees. The family-oriented culture focuses on caring for each other. It is truly a family environment that you want to be a part of, which is why people stay here for 10, 15, 20 years. It is a true testament to the culture at SYKES. 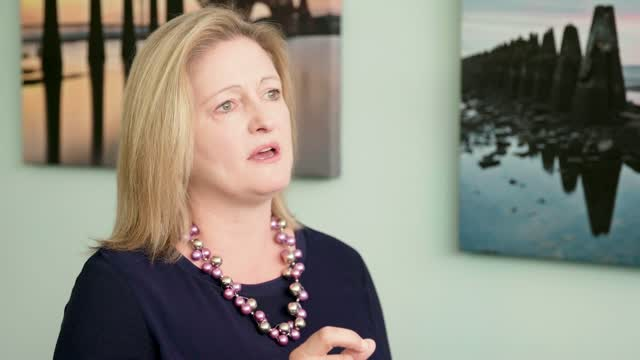 SYKES Senior Vice President of Global Operations Lynn Loefgren gives her perspective on being an effective leader. For her, it requires commitment and decision-making skills. You gain a lot of credibility with your clients and your team with those skills. Know your people and know your business — if you know the drivers of both of those, you’ll know how to make an impact. Change means opportunity. Get up every day with the vigor you need to run your business, and remember people are our greatest asset. SYKES Senior Vice President of Regional Operations Mike Henderson talks about how the SYKES business is a people business. The people who join SYKES want to succeed, and to help them succeed, the team managers focus on being good mentors, starting with being approachable. It is important to develop team members internally. As SYKES has developed and pioneered growth in the industry, team members like Henderson have grown and advanced with the mentorship of key leaders along the way. SYKES Chief Learning Officer John Kruper discusses some of his key learnings on being a good leader. The best leaders are the ones who are able to listen and provide a fertile soil for the folks they manage or lead. It’s not about you — it’s always about the folks you are lucky to be around. You get a chance to interact with people with different backgrounds, countries, perspectives, and experiences. If you can inspire them, that makes you a great leader. SYKES Founder John Sykes looks back on the early days of the company, and gives a look into the culture developed from the very beginning, emphasizing that you have to show respect for each other, that you care for people, that you don’t just talk about it but you live it. At SYKES, everyone is important, no matter what role you have within the company — SYKES employees are measured by who you are, what you do, and how you do it. John Sykes shares memories of the first year, starting with just three employees, and ended up profitable with 85 employees by the end of the first year. He wanted SYKES to be a company you could depend on, that did what it said it would do. With more than 20 years of experience, SYKES is the largest and most experienced at-home outsourcing solution. In fact, SYKES pioneered the work-from-home solution. We recruit, hire, and train agents who are better and more quickly mobilized to engage with customers, resulting in improved customer retention, loyalty, and satisfaction for clients. In this solution, the work goes to the agent vs. the agent coming to the work. To ensure that client information remains secure, SYKES has also developed precautionary security measures for the at-home measures. In a world of data, learn how analytics can help you optimize your digital support channels to yield the best ROI.